When you’re thinking about the best ways to upgrade your computer, you probably don’t give much thought to your mouse. All mice are the same, right? It’s one of the most-used pieces of hardware with your PC. You shouldn’t be stuck with the same cheap piece of junk you’ve had for years. Replacing your mouse can help you get better at work and play, plus it can help prevent damage to your wrists and fingers. 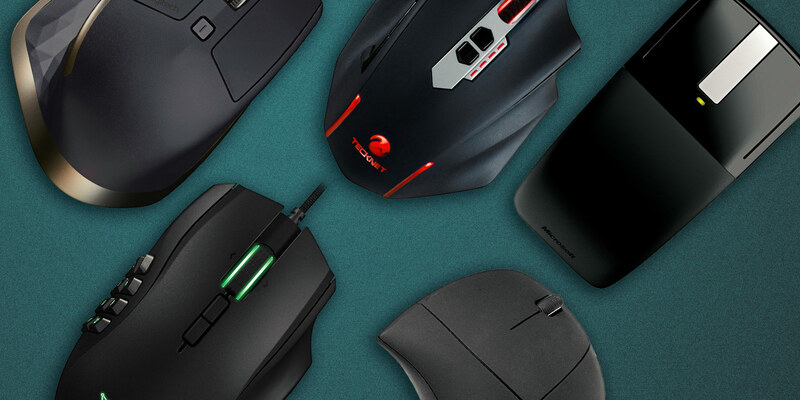 Read on to find out what you need to know before you buy a new mouse. For most users, the standard three-button mouse (where the scroll wheel functions as a third button) will do the job just fine. But for specific tasks, look into specially designed mice. Gamers should always invest in a dedicated gaming mouse. It won’t make you a better player, but it will make your gameplay a whole lot easier. The best gaming mouse will offer ergonomic benefits, making it more comfortable for lengthy sessions of play. It’ll have a higher-quality sensor, which improves its accuracy. And best of all, it will have buttons that you can configure to make repetitive tasks easier. Need to pull up your sniper rifle, or use a medkit? A simple click can do it. You can even assign complex macros to a single button. A lot of gaming mice, including the UtechSmart Venus, have DPI switches that you can use to toggle between a higher DPI setting (for faster cursor speeds) and a lower DPI setting (for smoother, more accurate control). More on that later. The other main type of specialist mouse is the travel mouse. Most are just standard two or three-button units shrunk for compactness. Most are wireless, though some use short or retractable cables. They’re also usually affordable enough that you can easily replace them if you lose one. The main point of a travel mouse is the ability to fit inside a tight space—such as a laptop bag or a purse—and they often aren’t designed with ergonomics in mind. They’re great if you’re on the road a lot, but they aren’t suited for heavy use. Ergonomic mice are designed to fit in your hand in a more natural way, reducing strain on your fingers and wrist. They also tend to have extra buttons within easy reach of your digits. How comfortable they are depends on many conditions, including the kind of grip you prefer. Some users like to hold their hand flatly, while others prefer a more claw-like grip. Size is a factor when it comes to comfort, and while many mice come in both right and left-handed versions, not all do. As a result, if you’re in the market for an ergonomic mouse, test a few out first. Or at least buy from somewhere with a good return policy. The other comfort factor often overlooked is noise. When you’re hard at work, most mice produce an incessant clicking sound. Even if it doesn’t annoy you, it may annoy others nearby. Get a noiseless mouse like the VicTsing Silent Mouse to solve that problem. One of the main specs you’ll see to advertise a mouse is DPI, or dots per inch. In the simplest terms, this is a figure that shows how far the mouse pointer will move for every inch that the mouse itself physically moves. Take a 4K display, for example, with a 3840 pixel width. You’d need to drag a 400DPI mouse nearly 10 inches across your desk to move the pointer from the left edge to the right. How far for a 3000DPI mouse? About an inch and a half. But while the general rule of tech specs is that higher numbers are always better, that isn’t true here. DPI shows how fast the mouse pointer moves, and faster isn’t always better. Most “normal” users don’t need to worry about DPI at all. High DPI is great for high-resolution displays or multi-monitor setups. It enables you to traverse the screen quicker. For gaming, high DPI allows you to act and react more quickly. Lower DPI gives you greater control and precision. Gamers need a mouse with adjustable DPI settings. For Photoshop or other apps that need a high level of precision, a lower DPI can be better. Another key spec you’ll see reported for mice is the polling rate. This is a figure, measured in hertz (Hz), that shows how many times each second that mouse reports its position to the computer. A higher number means greater accuracy and smoother movement. The leap from 500Hz to 1000Hz may sound large, but in reality it’s a move from two milliseconds to one millisecond. It’s unlikely your eyes will even notice. Gamers should go no lower than 500Hz, but everyone else can ignore polling rate altogether. The two most common types of mice are optical and laser mice, which are actually variations on the same technology. The main difference is that an optical mouse uses an LED to reflect off the below surface, while a laser mouse uses a laser to track movement. For this reason you can only use optical mice on flat and opaque surfaces. Most laser mice work on a wider range of surfaces, including glass. Laser mice are more sensitive. They can reach higher DPI ratings, which means they can track movements more precisely and also move across the screen quicker (so you may need to turn your mouse sensitivity down). This can result in a problem called “acceleration.” This is where the mouse pointer travels further when you move the mouse quickly than it does when you move it slowly. It’s a nightmare for gamers, many of whom prefer the steadiness of an optical mouse over the increased precision of a laser one. Wireless mice have caught up with their wired counterparts to the extent that their positives now outweigh any downsides. Lag is all but gone—although gamers may still prefer the absolute consistency and reliability that comes with a wired option. If you pick the right model, it’ll be years before you need to replace the battery. The main benefit of wireless mice is convenience. There’s no clutter from the cable, and if you use a Bluetooth mouse it won’t take up a USB port. Wireless range is also much better. This enables you to control a computer attached to a projector or TV, for example, from as much as 30 feet away. When buying a wireless mouse, your choice is between radio frequency (RF) or Bluetooth models. RF mice may be slightly more responsive, and are much easier to set up—simply plug in the dongle that comes with it. The downside is that the dongle hogs one of your USB ports, and is near-impossible to replace if you lose it. RF devices are also more prone to interference. Bluetooth is more convenient. It won’t use a precious USB port, and battery life can easily run to a year or two. It’s also a lot easier to share a single mouse between several computers. Setting up a Bluetooth mouse requires a few extra steps, and you have to wait for it to reconnect when you boot or wake your computer. But for the most part, Bluetooth is now the way to go. 8. What About Mouse vs. Trackpad? Instead of a regular mouse, you could consider a standalone touchpad similar to what you get on a laptop. It isn’t suitable for tasks like gaming and image editing, but some users find touch-based systems more intuitive, especially now that desktop software is often designed with touch in mind. Ergonomically, the flatter design may not work for everyone, although some products get around this cleverly. Microsoft’s Arc Mouse curves into whatever shape you find most comfortable. A handy compromise is a mouse with touch support, like the Logitech Zone Touch Mouse or Apple Magic Mouse 2. 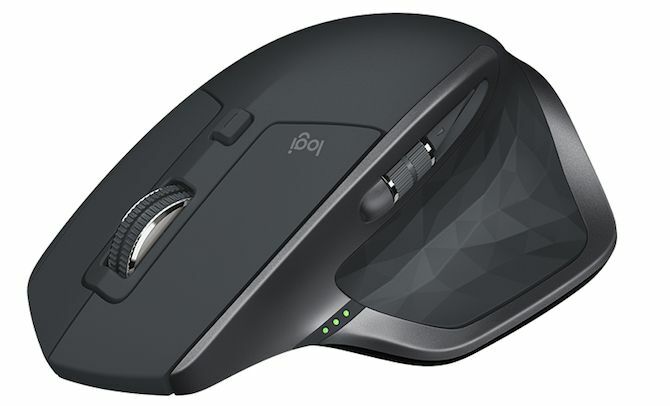 These are normal mice with a touch-sensitive panel on top that enables you to use the gestures supported in your apps. How to Choose a Mouse: Now You Know! When choosing a mouse, think about what you want to use it for. 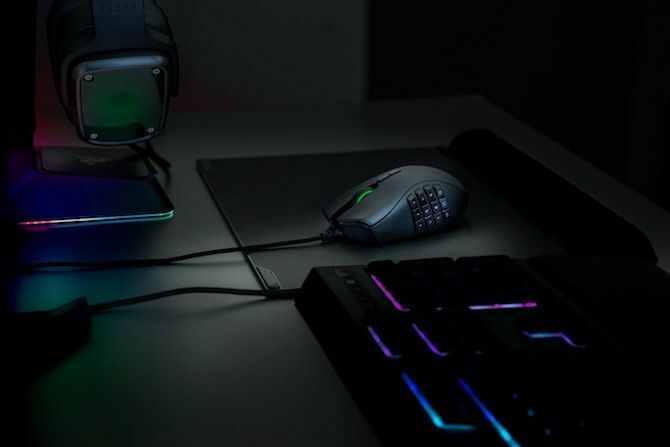 Designers might prefer the comfort and precision of an ergonomic laser mouse, gamers the stability of a wired optical mouse, and general users might find the gesture support of a touchpad the easiest to use. Once you’ve found the right one, getting it set up properly can make it even better. Check out our guide to customizing your mouse in Windows 10 for your next steps.